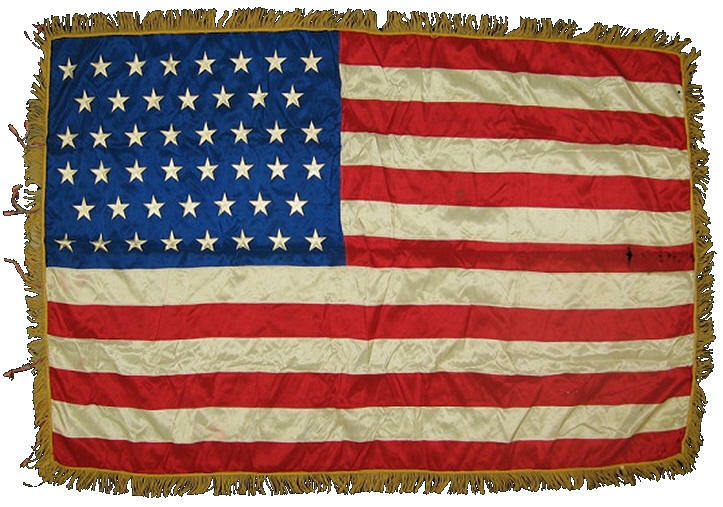 Battle flags used by the American military are a special category of flags unto themselves. 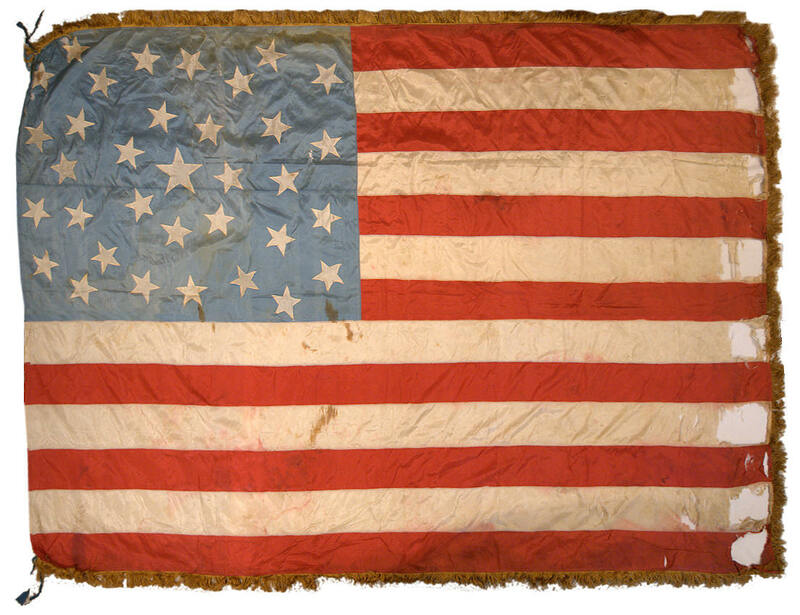 Prior to the Mexican War in the late 1840s, American military units typically did not carry American flags into battle. 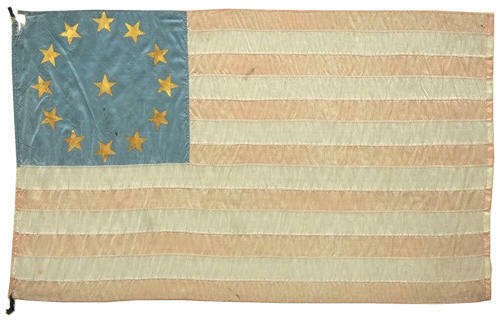 The primary use of flags in this early epoch was for Navy and maritime use. 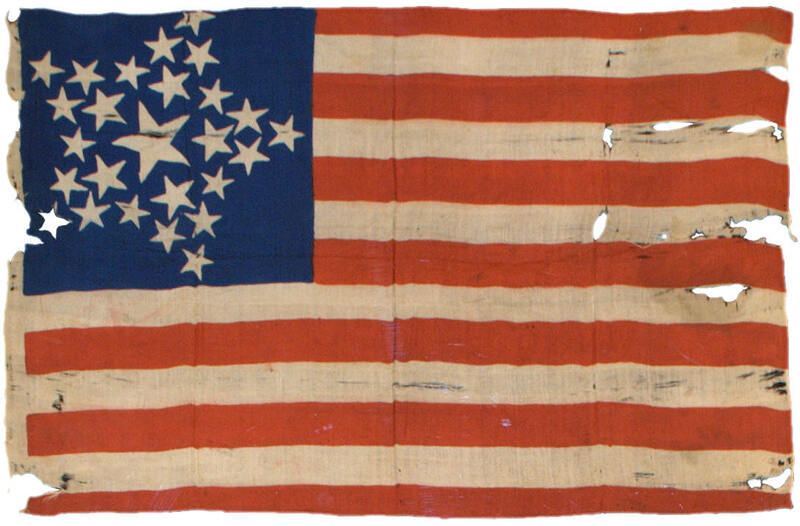 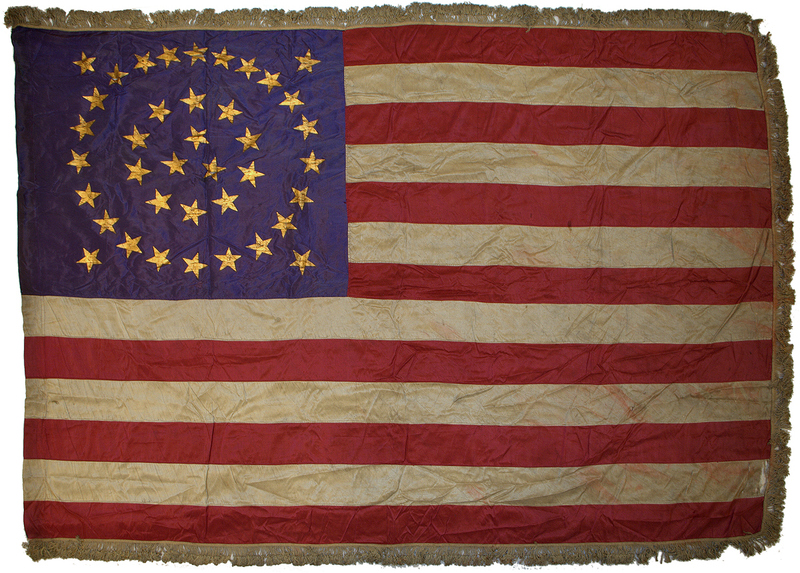 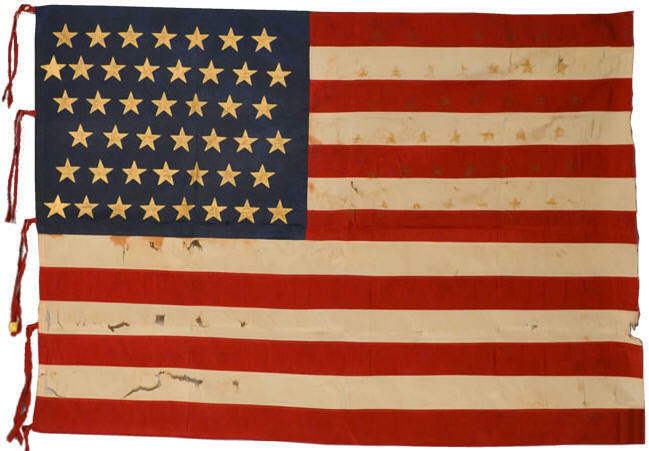 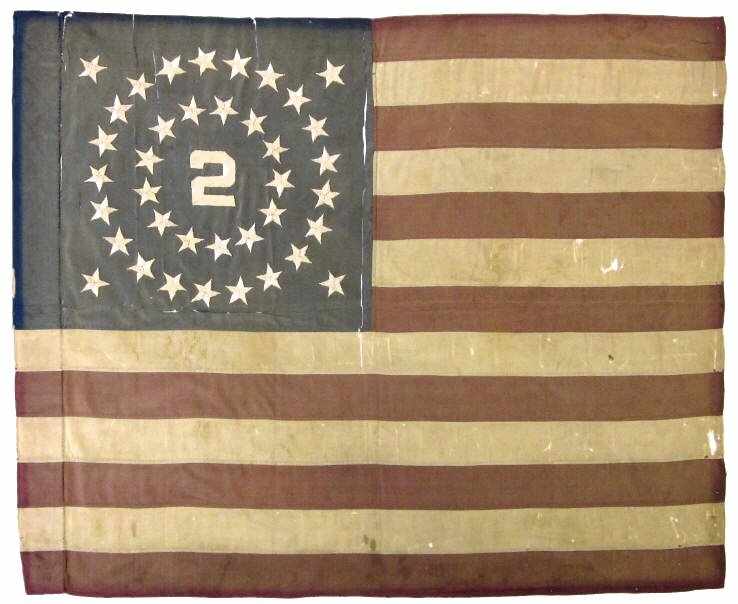 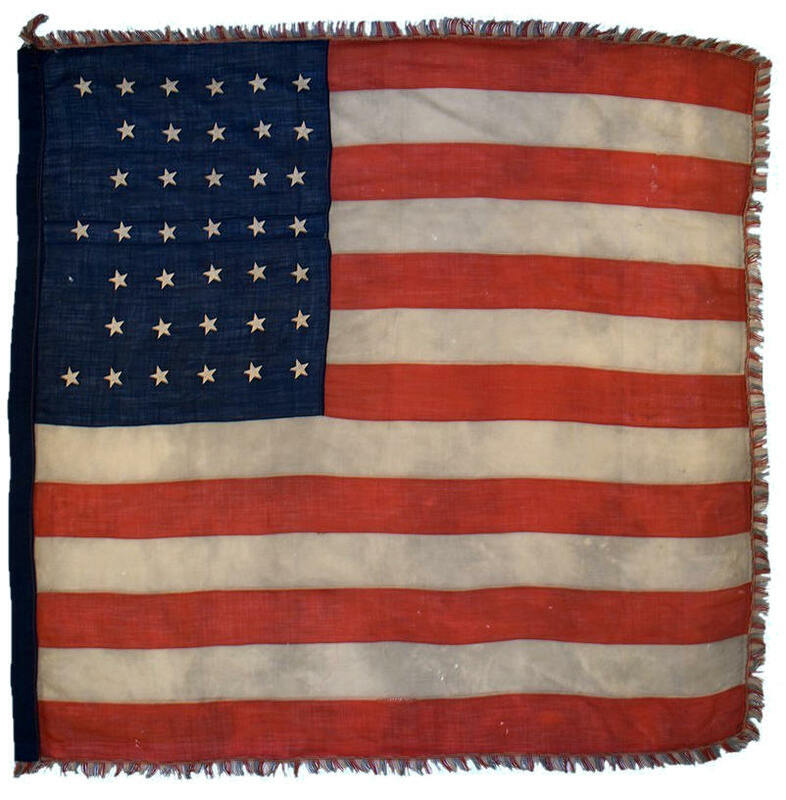 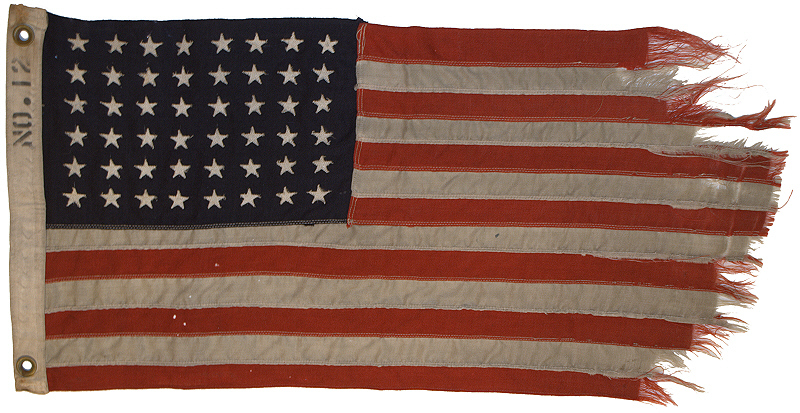 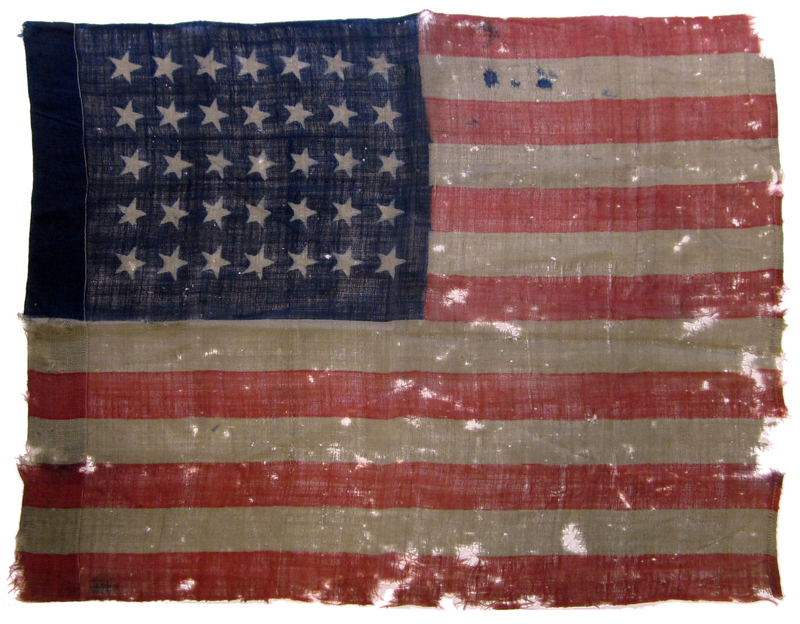 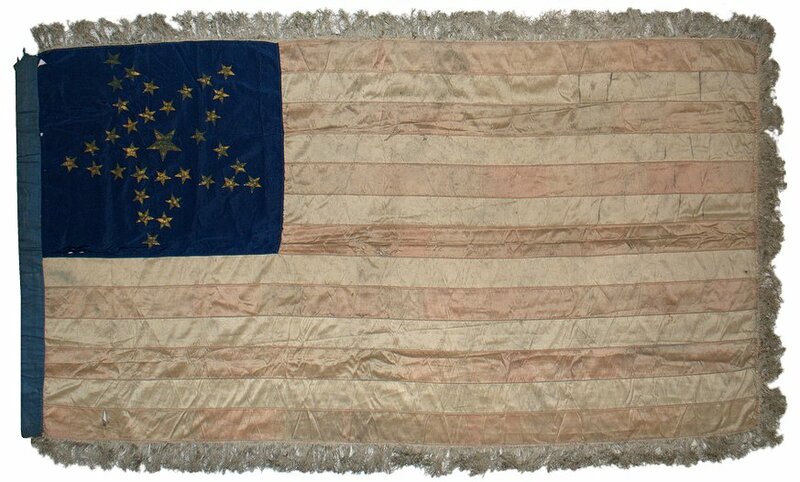 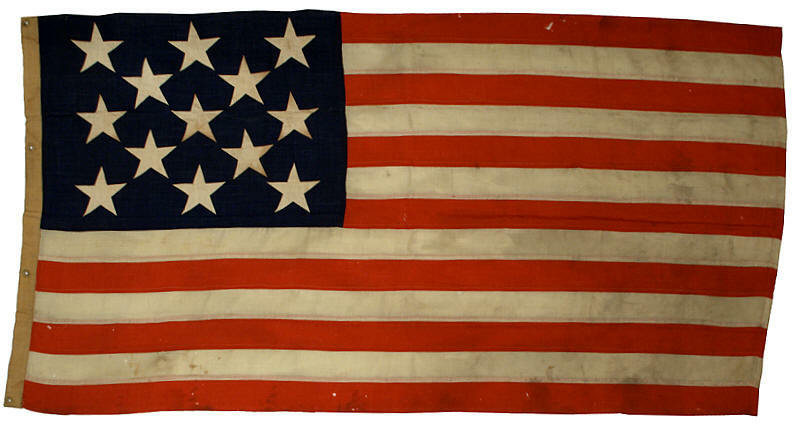 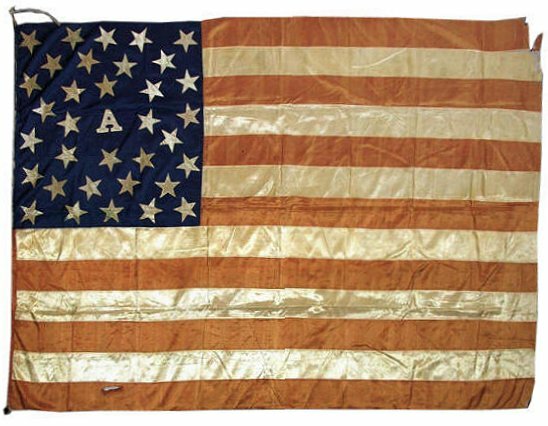 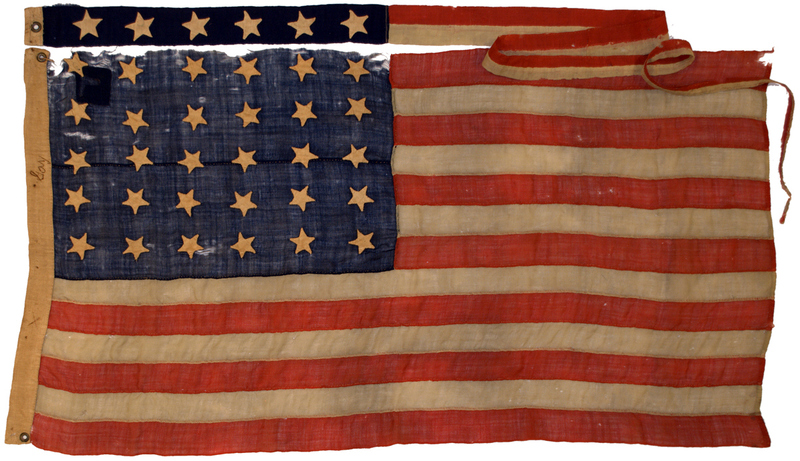 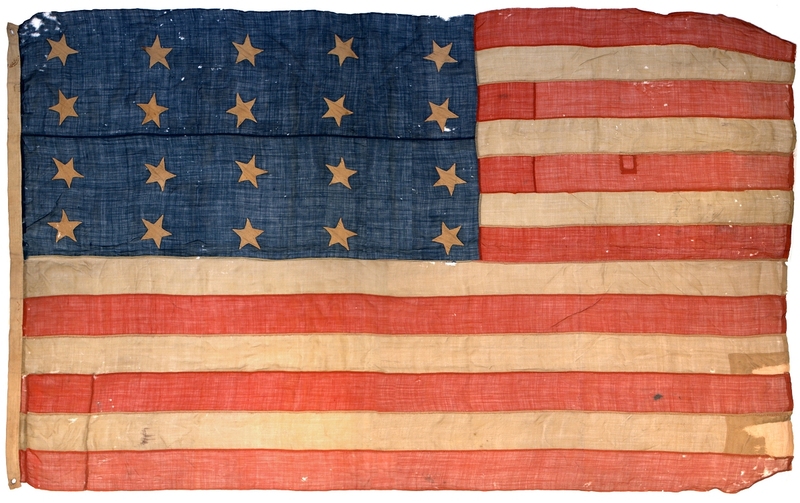 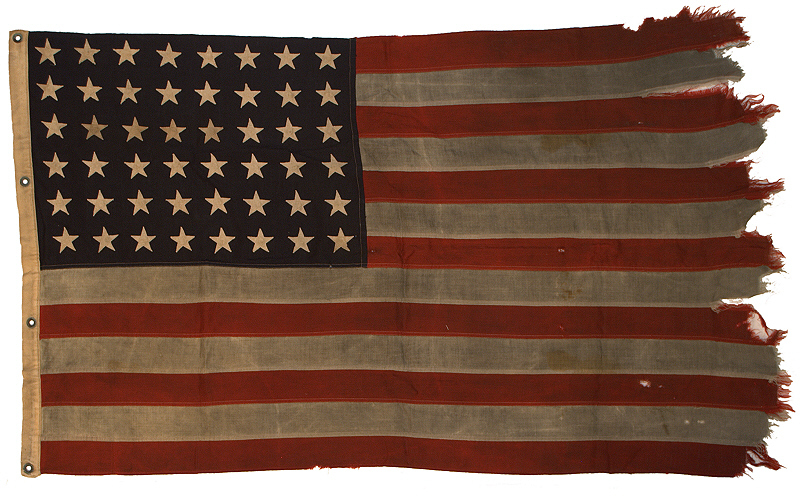 By the 1840s, Army units began to carry the Stars and Stripes, but surviving examples from this era are extremely rare. 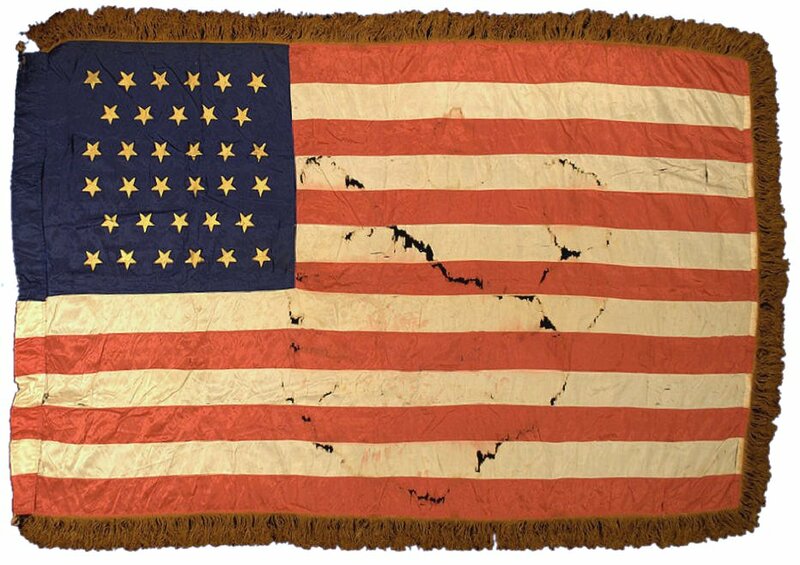 American flags for commercial or home use during the pre-Civil War era was almost non-existent. 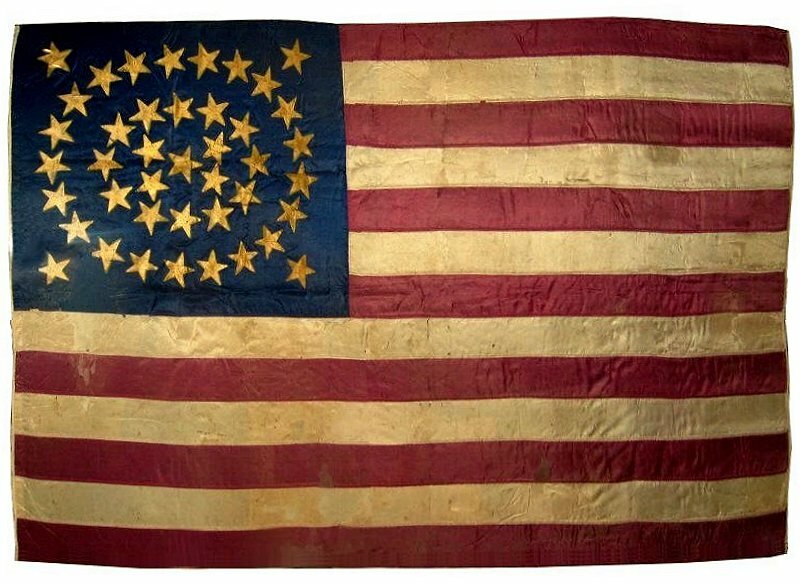 It wasn't until the Civil War that the use of the Stars and Stripes for military, commercial, and home use became mainstream in American culture. 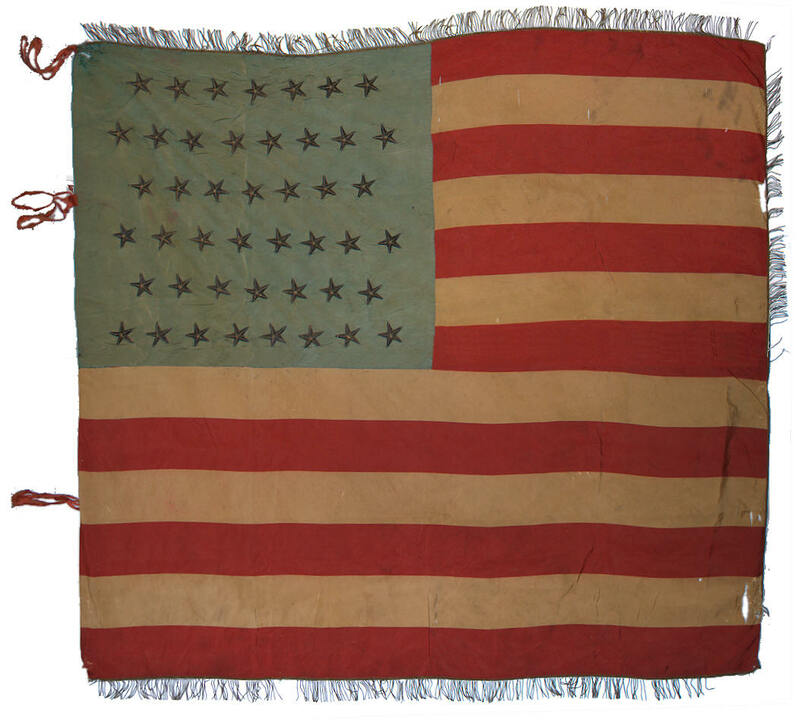 American battle flags in particular, both in the Stars and Stripes format, and in the heraldic eagle forms used for headquarters flags, saw widespread use during the Civil War, and the practice continues to this day. 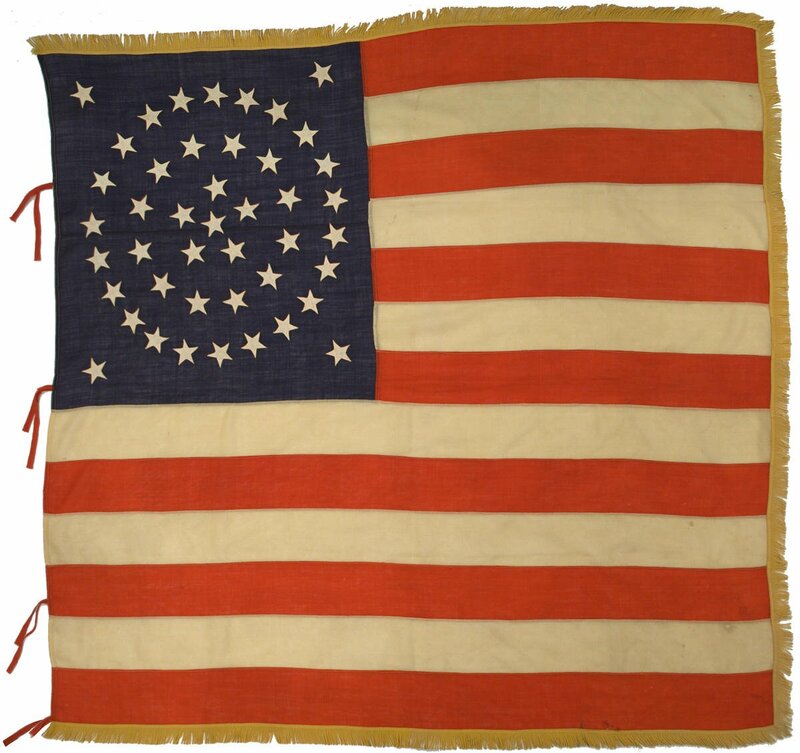 Recognizing an American battle flag is sometimes challenging, but those gathered from the Rare Flags collection and presented here should help you identify them. 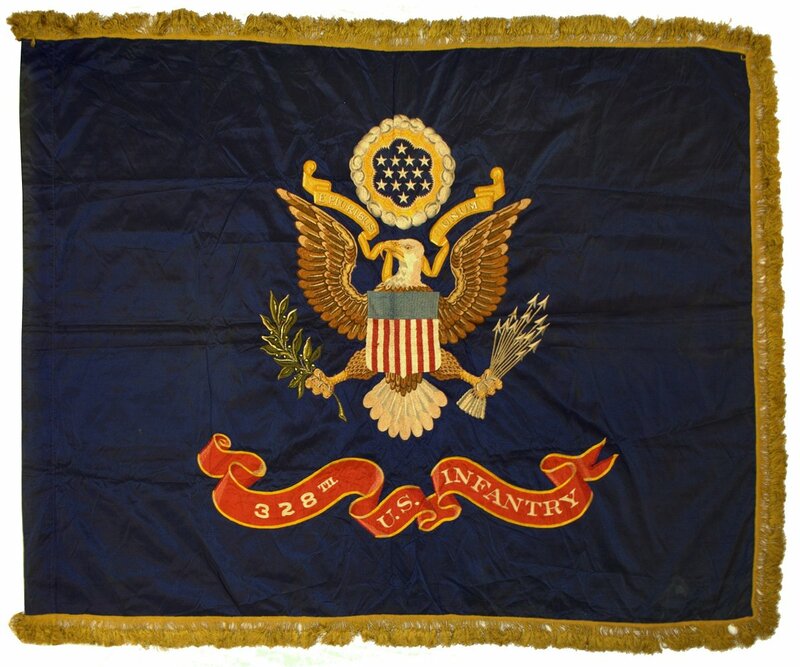 Unlike Army flags which were made of materials such as silk and often feature very decorative elements such as fringe and gilt stars, Navy flags more closely resemble traditional American flags used commercially or for home use. 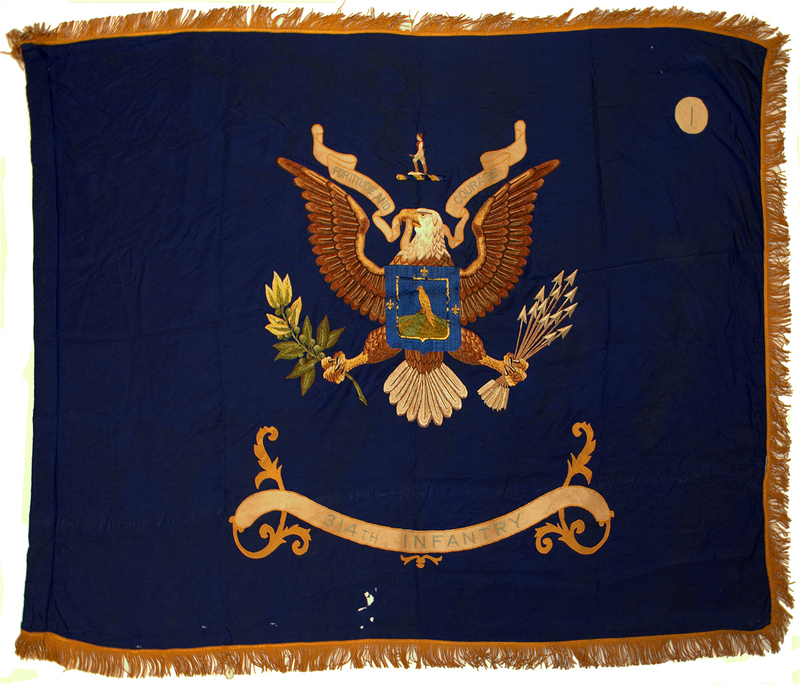 Navy flags are often made of wool, which is more suitable to the harsh briny, moist conditions aboard a ship.